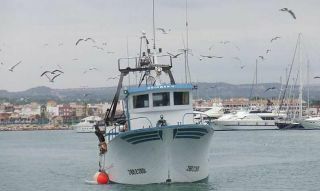 Spanish fishermen are in the spotlight after a Greenpeace report released this week alleged that fishermen suspected of landing illegal catches are receiving multimillion-euro payouts from European Union taxpayers. In one case alone, European Commission (EC) officials are investigating subsidy payments to a group of companies affiliated to the Vidal family, from Galicia, which are thought to have received more than €15m in subsidies between 2002 and 2009. German Chancellor Angela Merkel travelled to Brussels yesterday to meet Jose Manuel Barroso, just days after the commission president said member states are unable to effectively govern the eurozone. Both Merkel and French counterpart Nicolas Sarkozy are calling for a loose economic governance of the eurozone by its leaders. However, the European Commission has suggested that the crisis can no longer been managed by member states and believes that it is backed by a “silent majority” in favour of its push for further EU integration and potential future role as the economic government of Europe. The Greek finance ministry has conceded that the government will not be able to meet the deficit reduction targets imposed by the European Union and the International Monetary Fund for this year or next. The shortfall between spending and revenues will amount to 8.5 percent of GDP in 2011, considerably wide of the 7.6 percent target set by international lenders. Eurozone finance ministers have delayed the delivery of Greece’s latest tranche of bail-out cash, saying that the country can wait until November. Economy chiefs stressed that they will not let Greece default, but that the country must work further on its structural adjustment and privatisations. In the meantime, Greeks are turning to NGOs to fill gaps in public services. Greek citizens have begun to turn up at MSF clinics originally intended to come to the aid of migrants and refugees. While various member states battle with austerity measures, members of the European Parliament’s budget committee are asking for a 4.2 percent increase compared to last year. Key changes include increased spending on Palestine, maritime surveillance in the Mediterranean, managing refugee flows, funding for vegetable producers and development aid for Asia and South America and EU 2020 growth-strategy-related programmes such as life-long learning. There are interesting developments in the relationship between the EU and Russia. The UK has become the first EU country to impose sanctions on Russian officials implicated in the murder of lawyer Sergei Magnitsky, The Guardian reports. Former UK foreign minister Chris Bryant said the immigration minister, Damian Green, had confirmed the British visa ban to him. Labour MP Bryant said: “From conversations with Damian Green, I took it that these people would not be welcomed. It seems now as if there is a secret ban on these people.” Meanwhile, Vladimir Putin has unveiled a new plan to pull former Soviet countries into a “Eurasian Union”. Putin outlined his ideas in an op-ed in Russian daily Izvestia on Tuesday. Noting that Russia, Belarus, Kazakhstan, Kyrgyzstan and Tajikistan are already pressing ahead with plans to form a Customs Union and a Single Economic Space, he said the bloc will in future become a fully-fledged “Eurasian Union”with joint economic governance, common institutions and passport-free travel on the EU model. David Cameron has dismissed the prospect of a referendum on the UK’s role in Europe. The Prime Minister said he was governing for the “whole country”, and would not back a “false choice” between staying in the European Union or leaving. He said that “I think most people in the country recognise that our interest is to be in this organisation, fighting for a strong market for our goods and services”. However, he also appeared to confirm that a referendum will be held if the crisis in the eurozone leads to a new treaty. The comments came in a round of broadcast interviews at the Conservative Party conference in Manchester. This entry was posted in News, News Roundup by eutopialaw. Bookmark the permalink.